If you've got an old car or vehicle that you no longer need, it's easy to donate a car, boat or RV in the greater Chicago area. At Donate a Car 2 Charity, we provide fast, free pickup of all types of vehicles at no cost to you and your charitable donation is tax deductible. It's the blues capital of America and host to the annual Chicago Blues Festival. It's home to the Sears (Willis) Tower, Millennium Park, the Chicago Art Institute and many other fun, educational and historical sites where you can spend many fun days and nights close to home! When you're ready to get out of town and explore the world beyond the Windy City, why not make use of one of our Free Vacation Vouchers for a 3 day, 2 night stay in a variety of hotels and resorts nationwide. Call us at 1-877-505-5775 for more information on this program. Is my car donation made in Chicago tax deductible? Absolutely! Your car donation to Activated Ministries, a 501(c)3 nonprofit, is tax deductible and entitles you to a tax write off. Beneficiaries of your charitable gift include a variety of projects, programs and missions around the world, including the Sponsor a Book - Mexico program (Patricino Un Libro) which Activated Ministries has sponsored going on 5 years. This project promotes literacy amongst the poorest communities and tribal villages in Monterrey, Mexico by hosting workshops for parents and caregivers, organizing community events, working with local schools and daycares and giving books to needy and families and children.To date, over 75,000 books have been given away through Patricino Un Libro. For more information on the many projects made possible by you and other Chicago car donors who choose to donate vehicles instead of selling them, click here for more information. Does your car have body damage, or is it non-running? No problem! We will pick up any car in Chicago, running or non-running, even vehicles without a title. Having the title does make the process easier paperwork wise. Replacement titles can usually be easily and quickly obtained by visiting one of the local Illinois Motor Vehicles Department offices. For more information on donating your car in the Windy City, please see our Donate car Illinois page. What are Car Donors in the Chicago Area Giving To and Are The Car Donations Tax Deductible? Yes! Car donations made to Activated Ministries Donate a Car 2 Charity Program are fully tax deductible. Activated Ministries is registered with the IRS as a 501(c)3 charitable organization and supports a variety of missions, projects and programs both in the US and abroad. One such program is the In Recognition of Service Scholarship program which provides the children of long time missionaries and volunteers with college scholarships. As of March, 2013, Activated Ministries has awarded over 190 scholarships to qualifying individuals for a tonal of $185,000. If you would like to learn more about the IROS scholarship program, click here. Chicago may be full of awesome sights and fun things to do. After all, it's home to Navy Pier filled with so many fun things to do, delicious things to eat and beautiful sights to see. You've got Shedd Aquarium to enjoy viewing all the amazing marine life and Wrigley Field for all the sports fans. 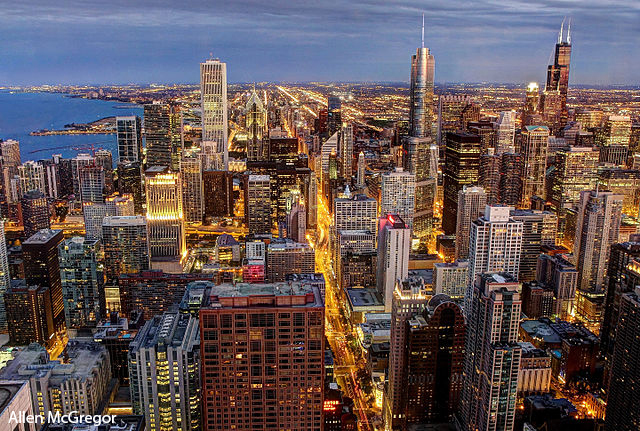 There's definitely plenty to do if you live around Chicago. However, if you'd like to get out of town every once in a while and see the world beyond Illinois, why not take advantage of one of our Free Vacation Vouchers for a 3 day, 2 night hotel stay. For more information, visit our website to find out which hotels and resorts are participating in this program.